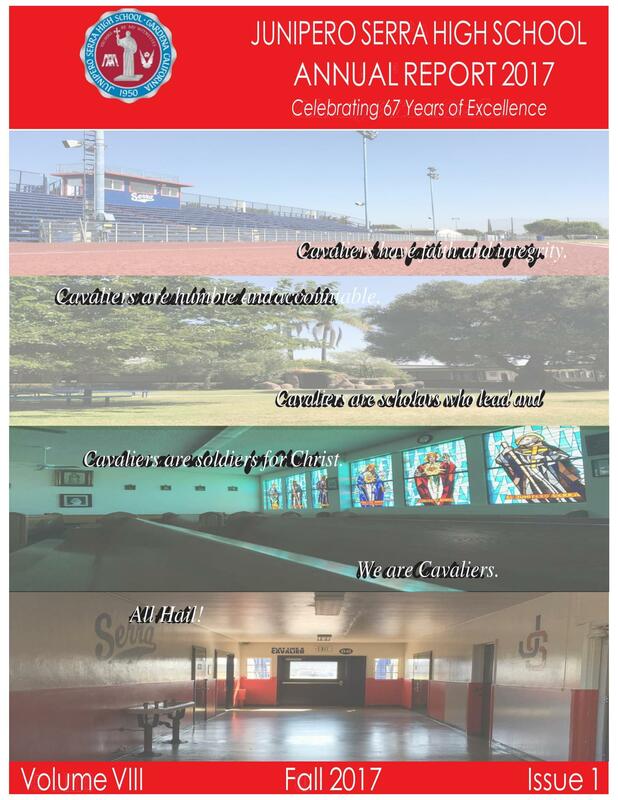 I would like to share with you the Junipero Serra High School 2016-2017 Annual Report, which highlights our achievements and growth during that fiscal year. I invite you to review it and learn about our school's progress. I am especially grateful to the loyal group of supporters recognized therein, without whom we could not continue our shared mission. I look forward to sharing many opportunities for fellowship with you in the coming school year. May God bless you and your families.